The idea of a John Bunyan Society began with conversations between Richard L. Greaves (Florida State University) and James F. Forrest (University of Alberta) who were lifelong friends and colleagues. They shared their conversations with others in the field, including Bob Owens, a founding editor of Bunyan Studies, at the 1988 conference Bunyan and Puritanism (Durham University) commemorating the tercentenary of Bunyan’s death in 1688. The IJBS embraces the full scope of early modern studies in the dissenting tradition. Our conferences include papers on Bunyan and his contemporaries. Our first conference included delegates from Canada, the United States, Japan, and Great Britain and Holland. Successive conferences have followed the pattern of alternating between North America and Europe, and have included delegates from France, Israel, Russia, Australia and South Africa. We look forward to meeting on other continents when opportunity arises. The IJBS continues to fulfill its purpose by fostering community among international scholars, teachers and students. Its conferences have brought about friendships, associations and collaborations among many people. We take special pride in offering graduate students the opportunity to get to know distinguished scholars. 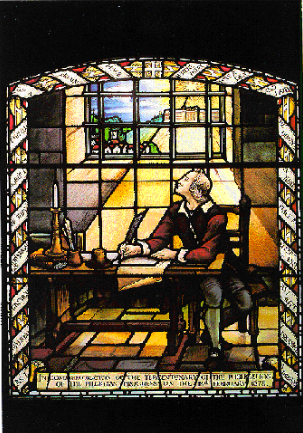 Conference publications, essay collections, and the establishment of Bunyan Studies as the official journal of the IJBS, demonstrate the intellectual energy of the society and its members. The IJBS is now in its third decade of operation. We look forward to supporting new generations of students and scholars through our web site, our conferences, our newsletter, our journal, and in ways still to be imagined by our members.